Flatbush Zombies follow-up the D.R.U.G.S. mixtape with BetterOffDEAD, a cohesive tape held together by the trippy production of Zombies' Erick Arc Elliott. The Beast Coast trio are the Dead Heads of rap on BetterOffDead, as the tracks operate in a nightmarish terrain that sounds as though it was written with a headful of acid in a cemetary. The crew pull off being tie-dye sporting, stoner-weirdos without slipping into the corny trap of mixing D-12 with The Flatlinerz. Flatbush Zombies' modus operandi is a lifestyle of embracing the hedonistic and abusal of the almighty substance. Chock full of 'low down n' dirty' rap, BetterOffDead is rhythmically blunted and perceptively warped off chambers of LSD experiments. 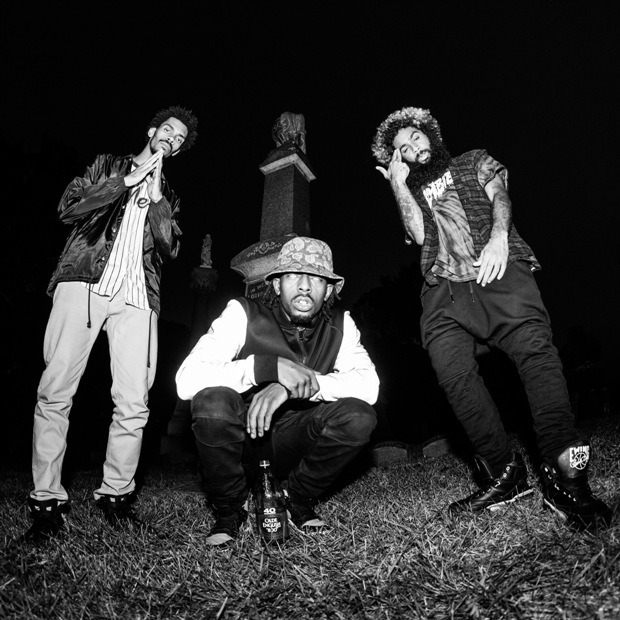 The mixtape features Danny Brown on “Drug Parade” and Action Bronson on “Club Soda”, but the guest spots quietly live among the Zombies' camp EvilDead aesthetic.Flatbush Zombies take their drug-cult worship further on BetterOffDEAD, making it a lengthy trip into a darkside not explored since Redman was buried up to his head in a field. Download BetterOffDEAD at The Glorious Dead.